Three rolls of highest quality, 3-ply Heritage twine from Nutscene. 120 metres long. Nutscene has been producing twines in Dundee - famous for its jute manufacturing industry - since 1922. Renowned around the world, the twines are still wound on the original machinery in use when the factory first opened. 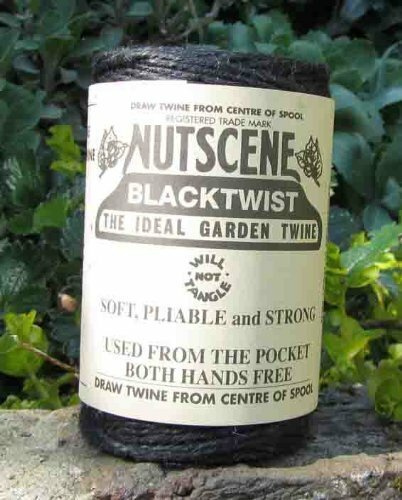 The name Nutscene was derived from their famous Greentwist twine, which when tied around the plant cannot be seen, thus 'not seen'. Other colours also available. If you have any questions about this product by Nutscene, contact us by completing and submitting the form below. If you are looking for a specif part number, please include it with your message.